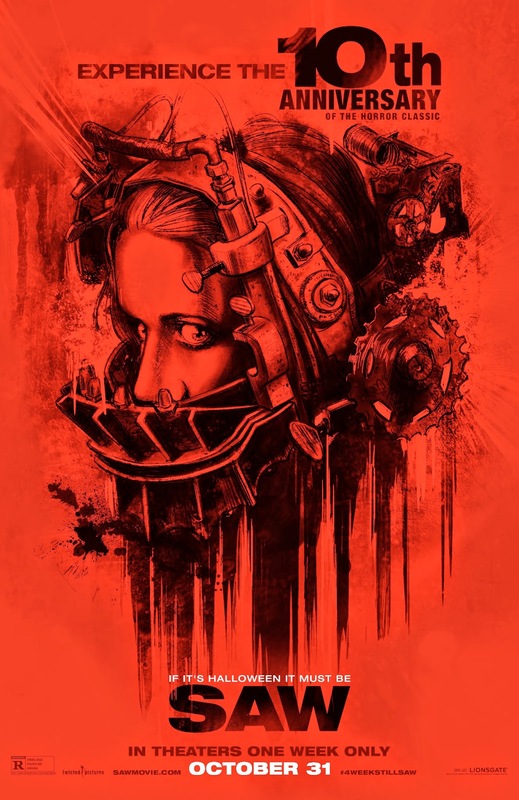 Film-Arcade.net: Horrorpalooza 2014: Second Official Poster for the Upcoming 10 Anniversary Re-Release of "Saw"
Horrorpalooza 2014: Second Official Poster for the Upcoming 10 Anniversary Re-Release of "Saw"
Lionsgate recently released the second of five poster for the 10th anniversary re-release of "Saw". The film released in 2004 introduced us to director James Wan. It stars Cary Elwes, Danny Glover, Monica Potter, Michael Emerson, Ken Leung, Tobin Bell and Leigh Whannell. 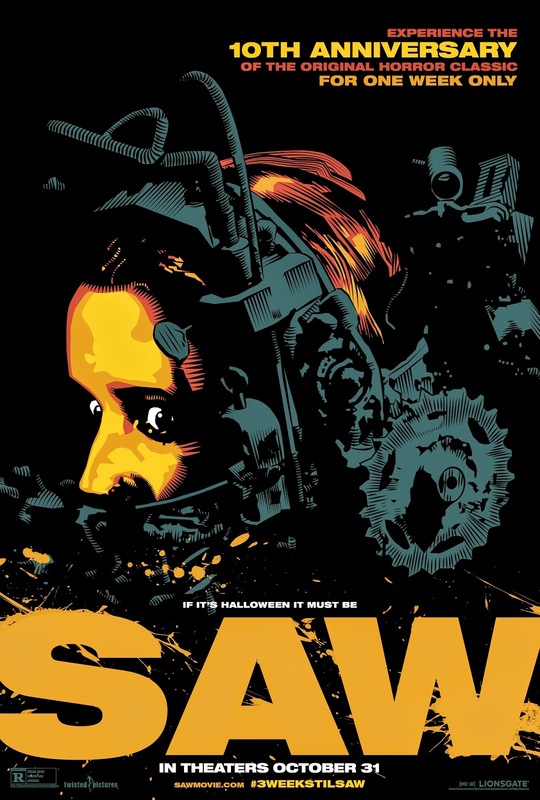 "Saw will return to theaters for one week only on October 31st. With a dead body lying between them, two men wake up in the secure lair of a serial killer who's been nicknamed "Jigsaw". The men must follow various rules and objectives if they wish to survive and win the deadly game set for them.